Elizabeth Beilman joined the Utah Symphony viola section as well as the Grant Park Orchestra viola section in the 2015 season, she was appointed Utah Symphony Acting Associate Principal Viola in the fall of 2018. Previously the Principal Violist of the Sarasota Orchestra, she was also a member of the Sarasota String Quartet. Heralded as “a violist of exquisite tone and musicianship” by June LeBell of the Sarasota Observer, Elizabeth was awarded the President’s Prize by Yuri Bashmet at the 2013 Lionel Tertis International Viola Competition. Ms. Beilman has performed as Principal Viola of the North Carolina Symphony and Opera Santa Barbara. She has also made regular appearances with the Los Angeles Philharmonic, Los Angeles Chamber Orchestra, Santa Barbara Symphony, Schleswig Holstein Festival Orchestra, and New York String Orchestra, among other ensembles. Recent solo highlights include appearances with the Sarasota Orchestra and the Burbank Philharmonic. She collaborates frequently with her brother, violinist Benjamin Beilman, including recent performances of Mozart’s Sinfonia Concertante with the Dearborn Symphony Orchestra and recitals at the Rabun Gap Music Festival, Chamber Music Ann Arbor and the Ann Arbor Society of Musical Arts. She is also the winner of the Chicago Viola Society’s solo competition, the 2013 Hennings-Fischer Young Artist Competition and laureate of numerous international competitions including the Coleman Chamber Music Competition and the Irving M. Klein International String Competition. 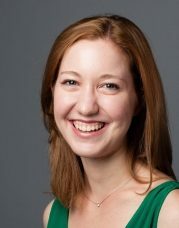 Born in 1987 in Washington DC, Ms. Beilman began studying the violin at age 5 and switched to the viola when she was 16. She received her undergraduate degree with honors from the Juilliard School of Music in 2010, where she studied with Heidi Castleman and Hsin-Yun Huang, and was awarded the John Erskine Prize for artistic and scholastic achievement. She received a Master of Music degree in Viola Performance from the University of Southern California’s Thornton School of Music in 2012, where she studied with Donald McInnes and was a recipient of the Harvey Erickson Endowed Music Scholarship. Ms. Beilman was elected by her musician colleagues to represent them on the USUO Board of Trustees and Executive Committee beginning September 2017.